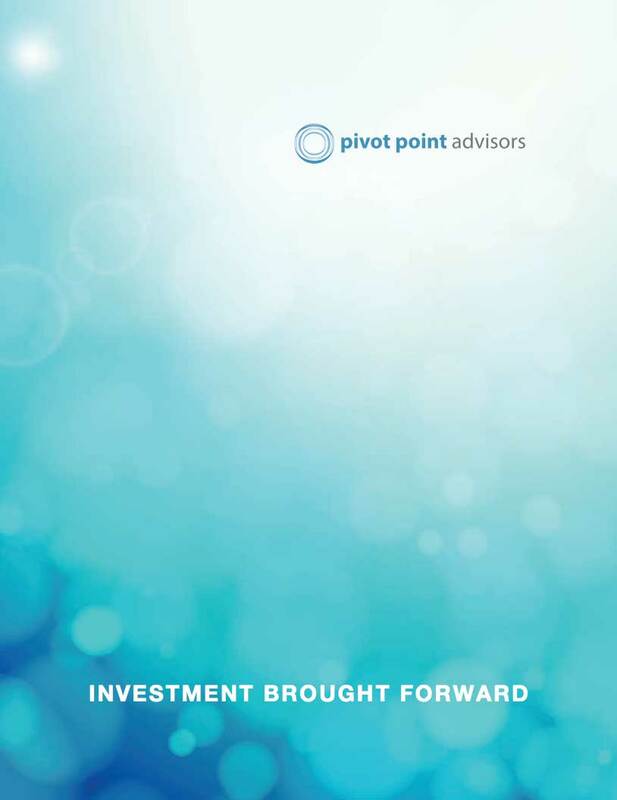 Pivot Point Advisors offers personalized investment management using rule-based strategies. Our strategies capitalize on verified cause and effect relationships to deliver attractive returns for our clients. Our unique use of information provides clients a small advantage, which over time can have a significant effect. Each strategy has a different investment objective. All strategies are rooted in science to ensure durable and repeatable decision-making. Most clients use a combination of strategies to accomplish their financial goals. Designed for defensive investors who need equity returns, this portfolio holds stocks of companies that are financially robust enough to have a high probability of surviving a major financial crisis. Stock selection and portfolio composition are driven by risk management considerations rather than an attempt to buy the best-performing stocks. Consisting of stocks, which are both attractively valued and moving up, this portfolio is for investors who need to grow their assets (e.g. to reach retirement goals) over long-term horizons. The objective of this strategy is to capitalize on stocks in a sustainable uptrend and exit when they become overvalued. A blend of our Conservative Stocks and Long-term Return Stocks portfolios, this portfolio scales into and out of the more aggressive value/momentum stocks. This boosts returns during early bull markets and switches to a defensive allocation in down markets or when valuations are too high. Our International Fixed Income portfolio uses a mean reversion strategy to generate returns in the current low-interest rate environment. The strategy buys Exchange-Traded Funds whose yield has spiked in the expectation those yields will return to recent averages.